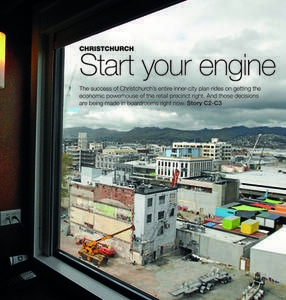 The front page graphic for the Mainlander section of The Press, featuring an article about the retail precinct. 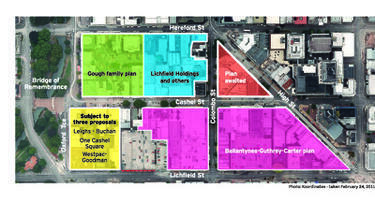 A map showing the locations of proposed developments in the central city. 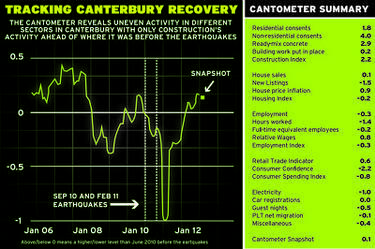 A graph showing economic recovery in Canterbury. 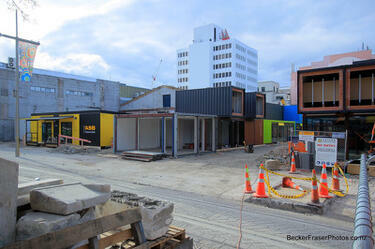 Photograph captioned by BeckerFraserPhotos, "Cashel Mall". 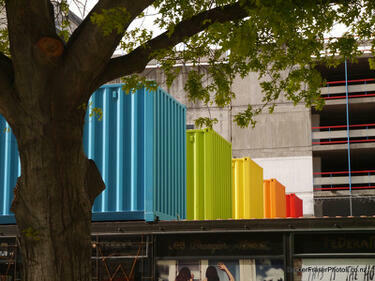 Colourful containers in Re:Start Mall. 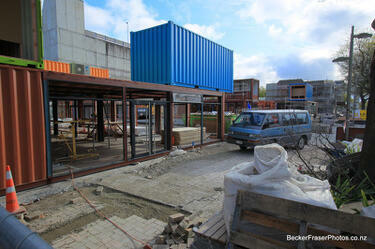 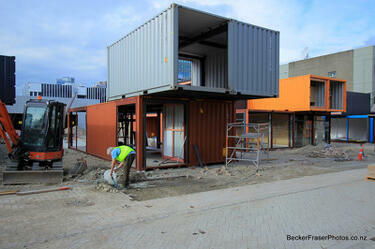 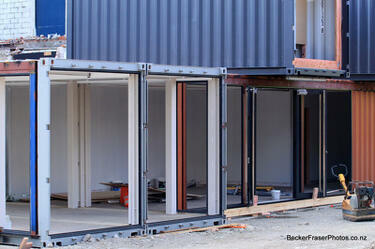 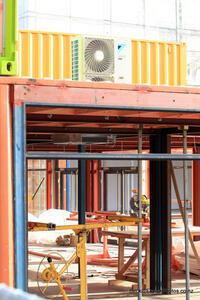 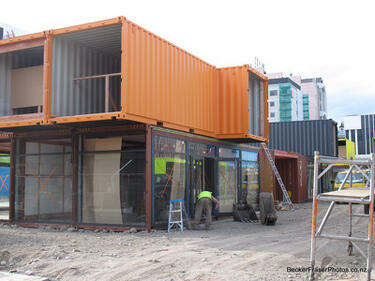 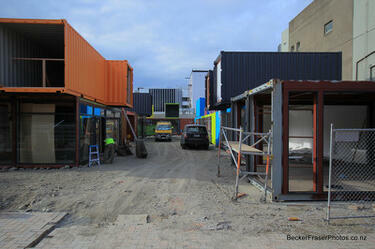 Photograph captioned by BeckerFraserPhotos, "Building the Re:START container shops in Cashel Mall". 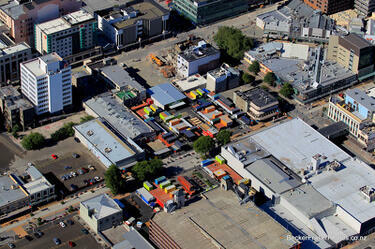 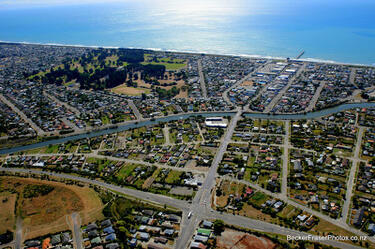 An aerial photograph of the Re:Start mall. 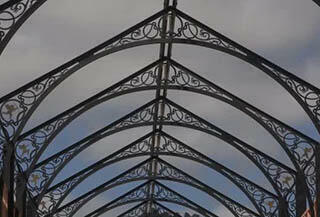 A video of an interview with Zak and Alasdair Cassels about the development of the historic tannery site in Woolston. 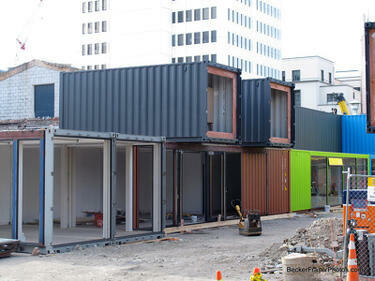 The Cassels are developing the site into a Victorian-style arcade which will house up to 70 tenants, including bars, restaurants, a music venue, gift shops, fashion stores, a hair salon, a Pilates studio, a tattoo parlour, and an art gallery. 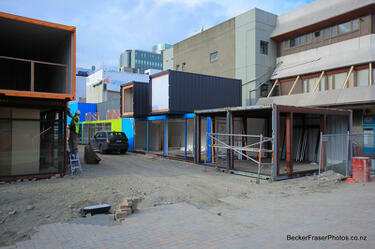 The video also includes an interview with Sarah Odering, the manger of Dead Set. 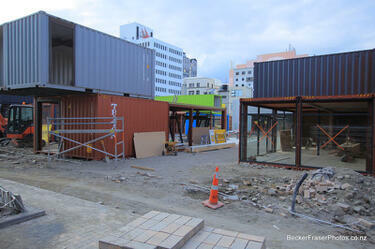 A video about lingerie boutique Hot Damn which relocated to Re:Start Mall after the 22 February 2011 earthquake. 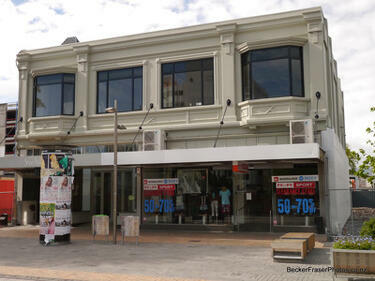 The store opened up on 22 January 2011 in New Regent Street but was forced to close for eight months after the February earthquake hit. 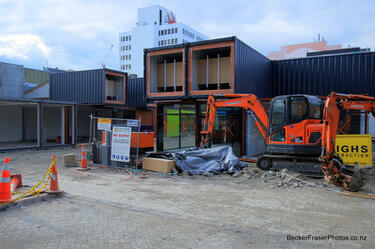 This video is part of The Press's 'Up and Running' series, showcasing businesses which have stayed up and running despite the challenges posed by the 2010 and 2011 Canterbury earthquakes.